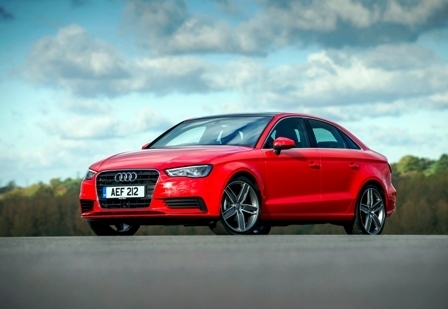 The Audi A3, the premium compact bestseller, was recently voted 2014 World Car of the Year. 06.05.2014 - The A3 was judged by an international jury panel, comprising 69 top?level automotive journalists from 22 different countries, and overcame the challenge from 23 other cars to win the prestigious title. The new Audi A3 is available as a three door, Sportback, Cabriolet and Saloon. It is powered by a range of TFSI petrol and TDI diesel engines and the A3 Sportback will soon also be available as an e?tron, whose plug?in hybrid drive enables journeys of up to 50 kilometres in all-electric mode. Produced with news.CMS in 0,1109 seconds.